No. 7 seed David Goffin helps tournament director James Blake with the 2018 Miami Open draw. 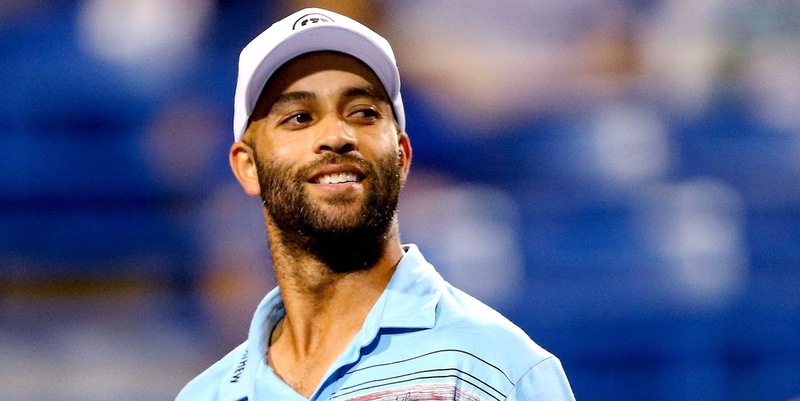 Former pro tennis star James Blake testified on Tuesday that a plainclothes police officer wearing a T-shirt and jeans didn't identify himself before throwing him to the ground and handcuffing him in a mistaken arrest in 2015 outside a Manhattan hotel. "He never said 'NYPD.' He never said 'officer,'" Blake said at a disciplinary trial for Officer James Frascatore. "He never said 'freeze,' like you'd see in the movies." In his own testimony Frascatore told an administrative judge that once a superior misidentified Blake as a target of a credit card fraud operation, he dashed through traffic across 42nd Street and sneaked up on Blake to keep ''an element of surprise,'' having been warned that the suspects could be armed with knives. He said he waited to tell Blake "police don't move" as he took him down with an authorized "arm bar" maneuver. James Blake has agreed to drop his right to sue New York after he was mistakenly arrested and tackled by police. In exchange, a legal fellowship will be created in his name that will bolster the work of the city's police watchdog agency. The city and Blake's attorney announced the agreement Wednesday. The fellow will serve two-year terms at the Civilian Complaint Review Board and the city will fund it for six years. The salary will be commensurate with other staff there and will be no less than $65,000, officials said. The fellow's job will be to help navigate the system for people making complaints against police, and to push for strong investigations. He may not have played a warm up tournament this year, but Roger Federer is getting in some solid hitting. Today he practised with James Blake. 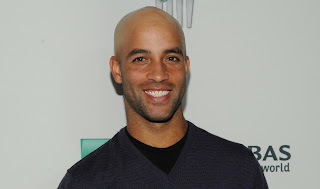 James Blake married Emily Snider, his girlfriend since 2008, on Friday in Del Mar, California. 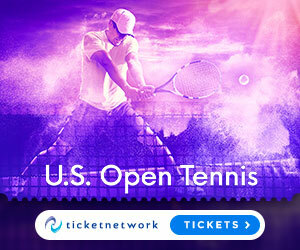 The ceremony was held at the beachfront L’Auberge Del Mar hotel and was attended by 150 guests including Andy Roddick, Mardy Fish, John Isner, Robby Ginepri, and Sam Querrey. Blake’s brother, Thomas Blake, served as best man while Snider’s brother stood besides the bride in the wedding party. The ring bearer was Snider's nephew Frank. Their five-month old, iley Elizabeth, also took part in the wedding processional, going down the aisle with Snider’s mother. Q. So who is Travis Mathew? PLAYERNAME: Travis Mathew is a brand. It's great. I'm excited to be with them. They have mainly been in golf to this point. Bubba Watson, the Masters champion, wears it, John Mallinger, Kevin Chappell, Luke List, a couple guys on the Nationwide Tour. 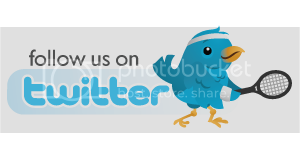 They are now going to get more into fitness and more I want to say active sports than golf, more ‑‑ little more into the fitness realm. That's why I'm excited to be part of it right at the beginning. Bubba Watson got in right in at the beginning, and obviously his career took off. I'm excited to be part of a company that is behind me supporting me from the start from sort of their inception into the fitness line. I'm excited to be a part of it. I think it's going to do really well. The stuff is unbelievable. I'm happy about it. Q. What does it feel like being back again here and back again winning? 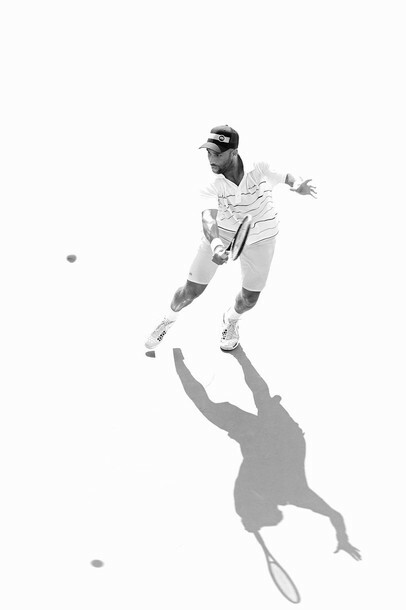 JAMES BLAKE: It's a good feeling. You know, every time I come back here it's still sort of the goosebumps walking out on Louis Armstrong or Arthur Ashe. I'm excited, and I get a lot of ticket requests. I get to see my fans and friends having a good time. That definitely keeps my spirits up, keeps my head up throughout the whole match. You know, I can't believe that it's been I think 12 years I have been playing here just about every year. You know, it still doesn't feel normal. It's still an incredible feeling to be here and to be doing what I dreamed of as an kid. Is your fiancée a tennis player, too? No. We’re trying to teach her. Did you meet her through tennis? Yeah, sort of. We met when I did an exhibition with Pete Sampras and she worked for the PR company that was helping him. Emily, would you go to London this summer if James competes at the Olympics? I wouldn’t be able to, no. The Olympics would be a little ambitious for me. 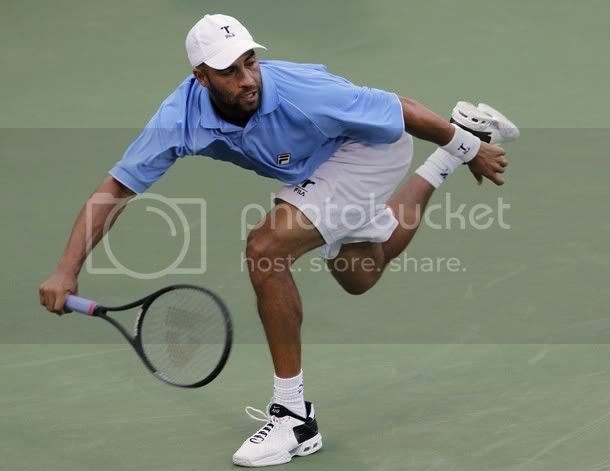 James Blake pulled out of the Australian Open 2012 for a second straight year. 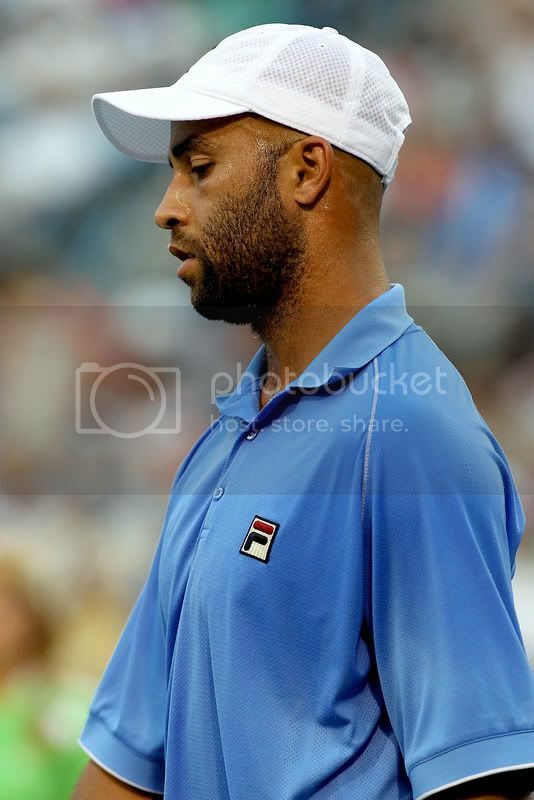 "Just got word that James Blake has withdrawn from the Australian Open and Brisbane. Sorry to hear this and we wish James all the best," Tournament director Craig Tiley tweeted. Blake, currently ranked 59, also missed out last year amid a variety of fitness battles. James Blake upset Juan Martin del Potro 6-4, 6-4 to reach the quarter-finals of the Stockholm Open. The American made it to his first quarter-final since making the last eight in the Swedish capital a year ago. "This is my best win of last three years," said Blake. "This is the best I've felt on court for a long time. To get a win like this against a top player is great. "I've not done this for four or five years. I'll be proud of this one for a long time. 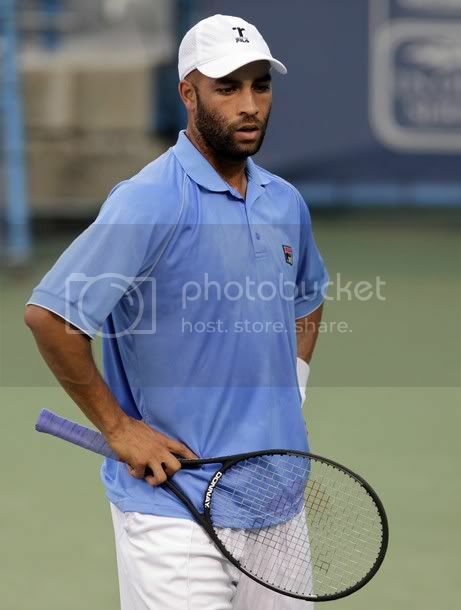 James Blake set a second round clash with David Ferrer after beating Jesse Huta Galung 6-4, 6-2, 4-6, 6-4 at the 2011 US Open tennis championships. Blake has struggled with injury in the last two years and at times has contemplated retirement as he was outside the top 150 (now ranked 63rd) at the start of the season. But after losing early at Wimbledon he won a challenger in Winnetka and got some confidence back to keep going. "I was thinking about every match I've played on this court and Arthur Ashe when I walked out tonight," Blake said. "I've come full circle. I appreciate every single one of those matches." 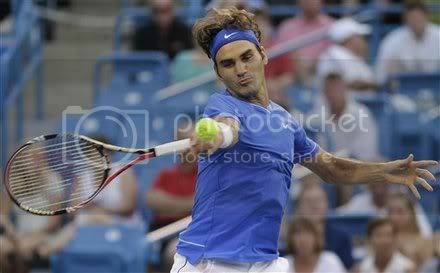 Enjoy the following pictures of Roger Federer and James Blake during their third round match of the Western & Southern Open at the Lindner Family Tennis Center in Mason, Ohio. Roger Federer crushed James Blake 64 61 to advance to the Western & Southern Open quarterfinalse at the Lindner Family Tennis Center in Mason. The Swiss next faces Tomas Berdych. 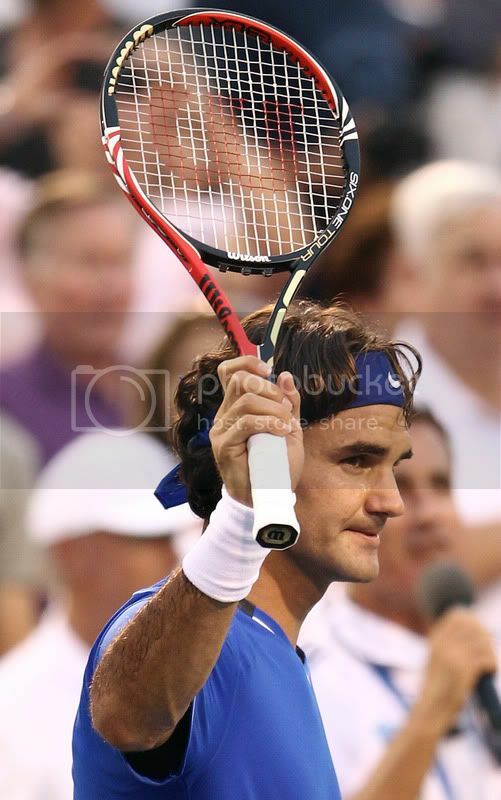 Federer remained a step ahead of Blake in the first set and dominated him in the second. "Against James it's always a fast-paced match from start to finish. 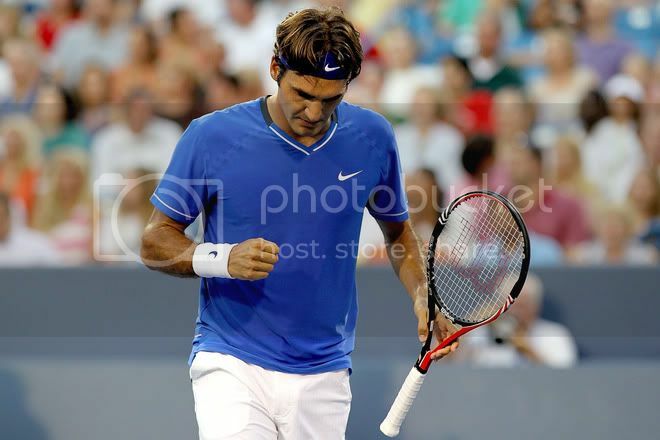 You hope you get on a roll and he doesn't," Federer said. "I was able to counter his attacking style. I was able to play clean on my service games. In the second set he didn't play so well, and the score line shows that." "I didn't really get much of a rhythm," Blake said. "He does a great job of that. Obviously in our head-to-head, he finds a way to win almost every time - Just serves a little better, plays a little better and keeps me off balance. Every time I thought I was playing a little better, I'd find myself behind in a game or in a tough spot." 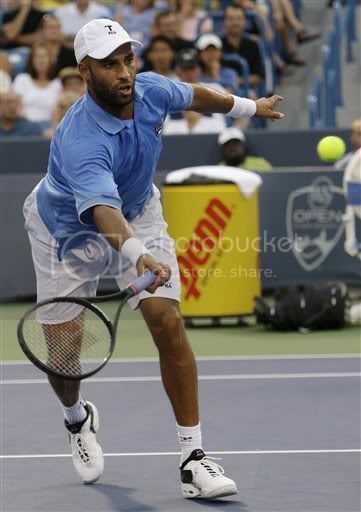 Blake, who is trying to comeback to top form, defeated Marcos Baghdatis and Fabio Fognini this week in Cincinnaty. He was as low as No. 173 on in March, but this week he's No. 84. "So far I've had a lot of solid wins, but I haven't had that big win that really opens up a draw," Blake said. "I just need to get that going. Once I get that one big one, then hopefully the confidence comes back consistently." 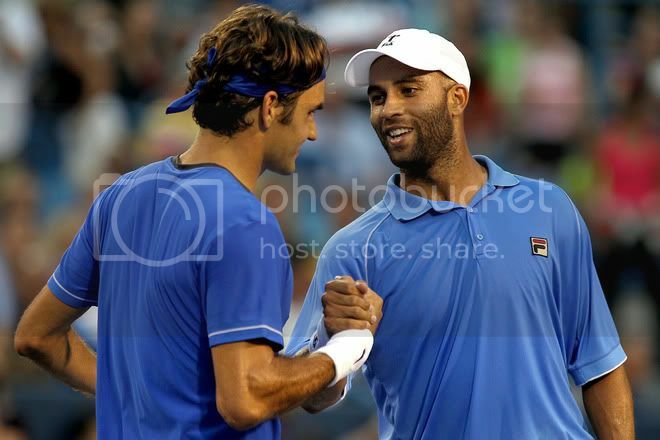 Federer spoke highly of longtime friend Blake to the media, and Blake returned the favor afterward. He praised Federer's achievements and said he was "as friendly as could be." "I just said good luck, and he kind of gave me a pep talk and said, 'Come on, play great the rest of the summer,' " Blake said. "He is a good friend and someone that really shows a lot of support for me. Whether or not he's the greatest player ever, he's definitely one of the greatest champions as a human being." 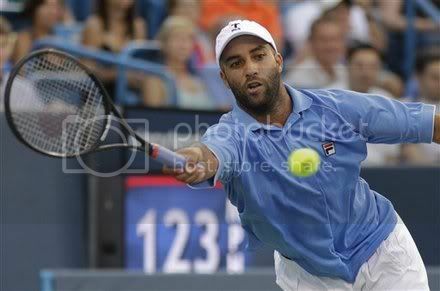 James Blake beat David Nalbandian 6-2, 6-4 in second round of the Legg Mason Tennis Classic in Washington. Next for Blake will be John Isner, who defeated Tobias Kamke 6-1, 6-3. Blake and Isner live near each other in Florida, and hit together all the time. They’ll also team up in doubles in Washington. Isner needed only six aces to get past Kamke. Blake´s victory over the Nalbandian allowed the American to get to the third round for only the second time in 10 tournaments this season. He dominated Nalbandian for most of their match, saving all three break points he faced and winning 31 of 39 points on his first serve. “This is the best I’ve served in two years, probably,” Blake said.